Think "outside the Basket" this Easter! 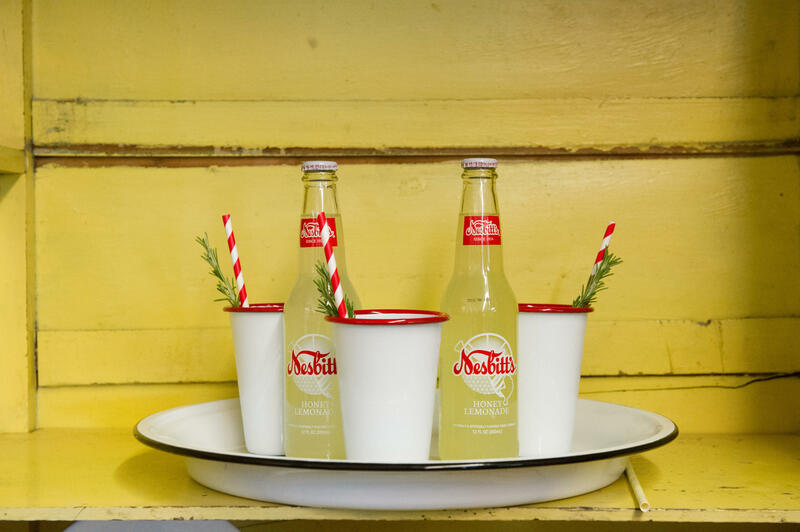 Who can resist our beautiful and functional Enamelware? 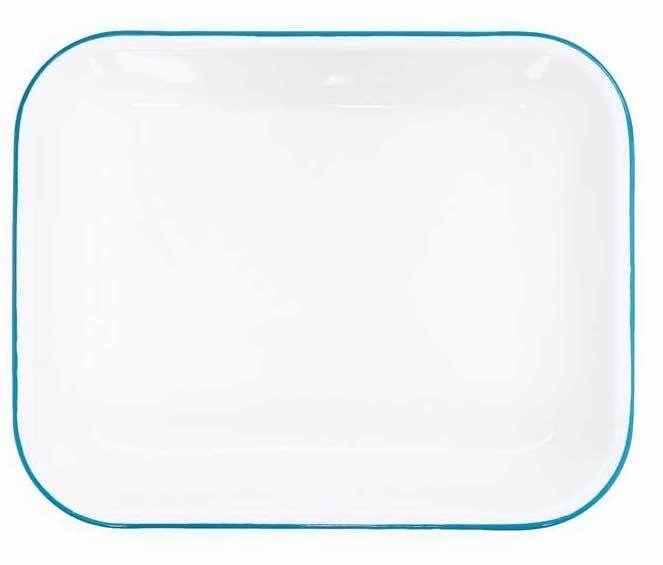 Especially when each piece easily transitions from oven, stove-top, or grill to the table and best of all – every piece is dishwasher safe. 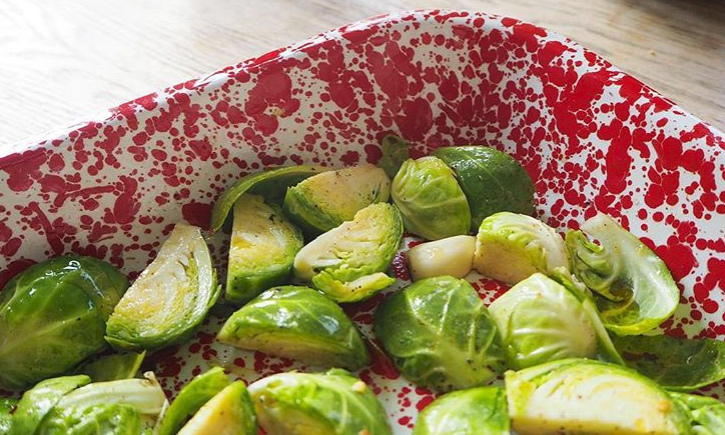 The dish on 3 Enamelware pieces for you! 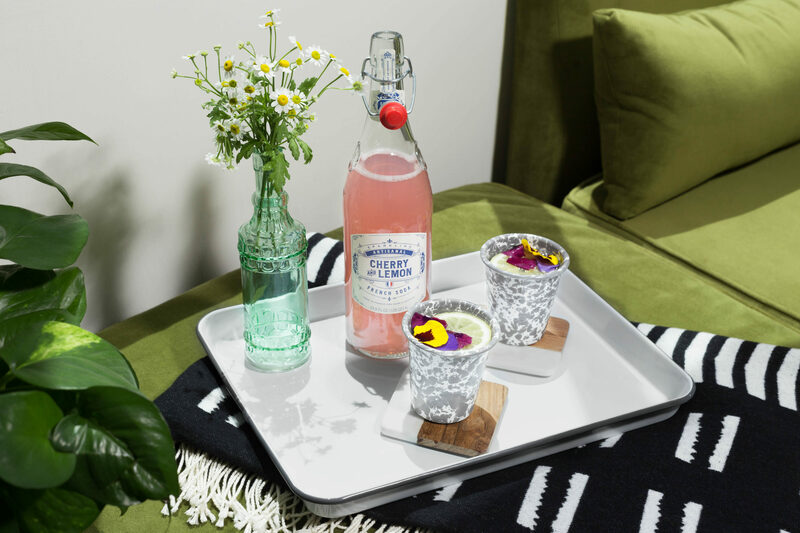 Enamelware’s form and finish brings you to the table with new and inspiring ideas but it’s versatility is what keeps you adding to your collection year after year. So many colors, shapes and sizes, there’s something for everyone. Here are some of Easter's most popular products. Traditionally, The Jelly Roll Pan was designed to make thin sheet cake sturdy enough to coat with crème or a jelly, then roll into a cylinder shape. But don’t limit this pan to the Jelly Roll. 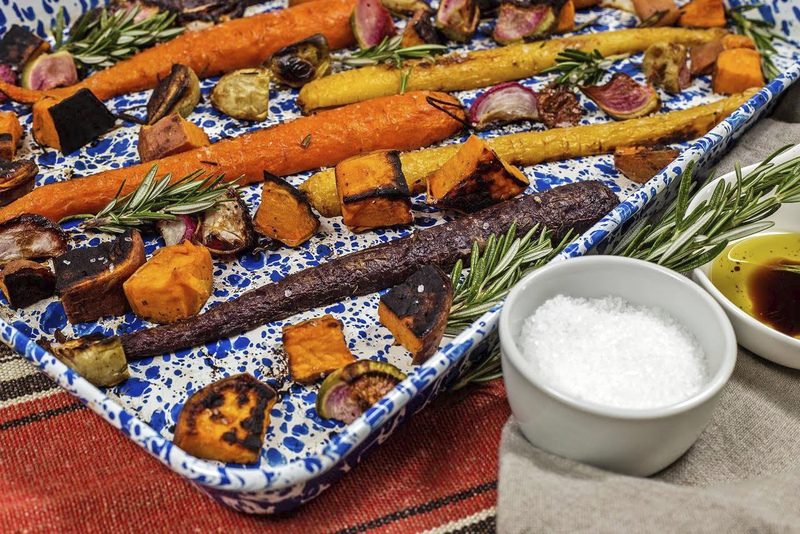 With this pan, you’ll find yourself baking and serving everything from roasted veggies to delicious desserts. 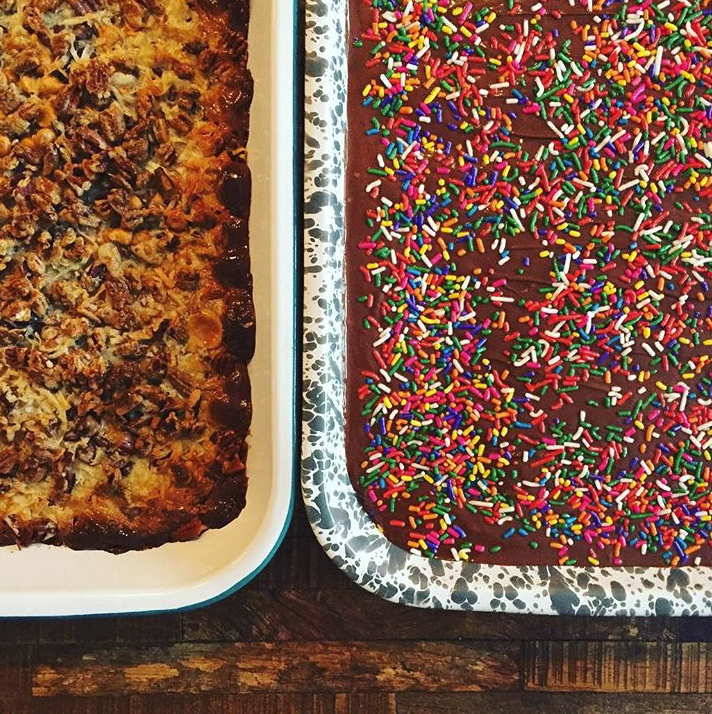 Thinking about a nice BBQ brisket or an Easter Meatloaf for your holiday gathering? This roaster will compliment any main dish plus it goes from grill or oven, right to table! And yes, it is perfect for that traditional baked Easter ham too! 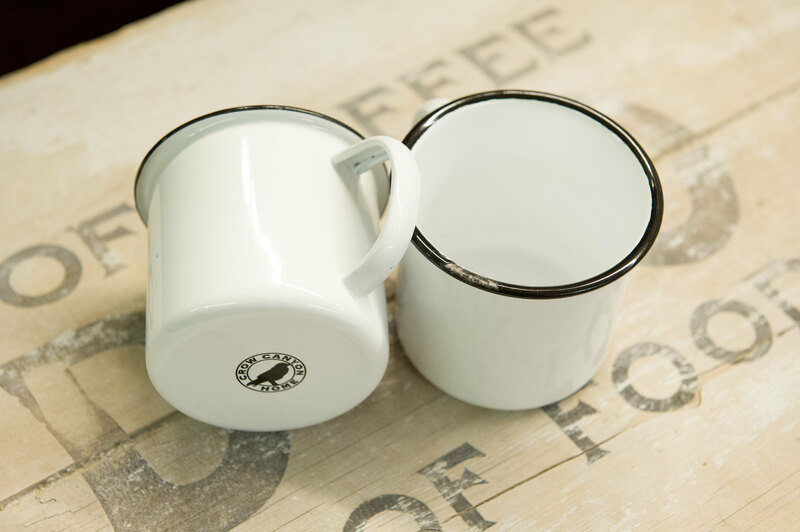 For the Kiddos - The small 8oz Mug! Every child loves to have something all their own. 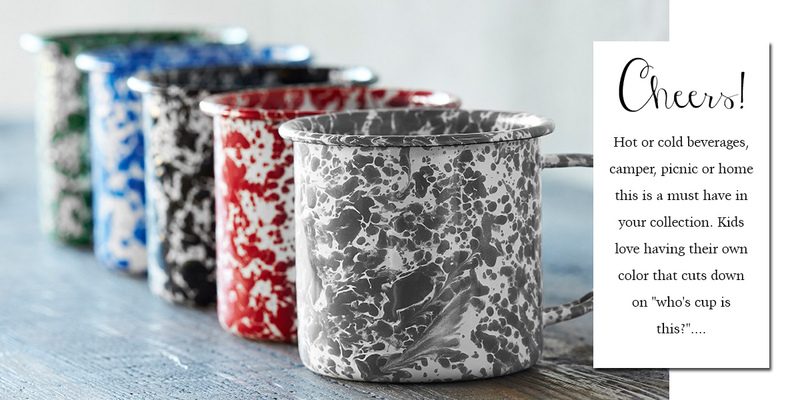 Splatterware and Vintage colors available! Perfect size for dying eggs too! 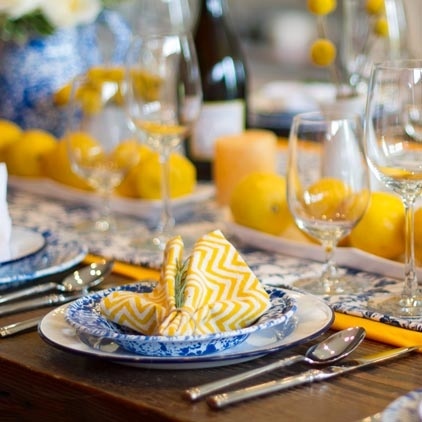 Mix and match the Splatterware and Vintage pieces for a one of a kind tablescape! 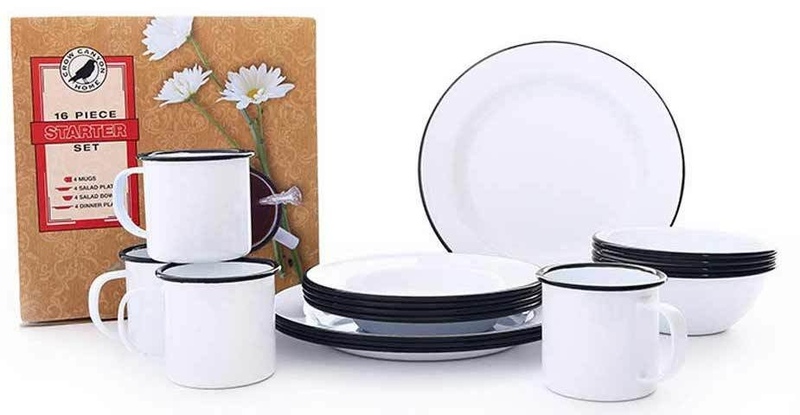 Use the button below to get access to a full Enamelware offering. We don't only sell Enamelware, we hand pour candles daily in Jamesport, Missouri. The second largest Amish Settlement west of the Mississippi. 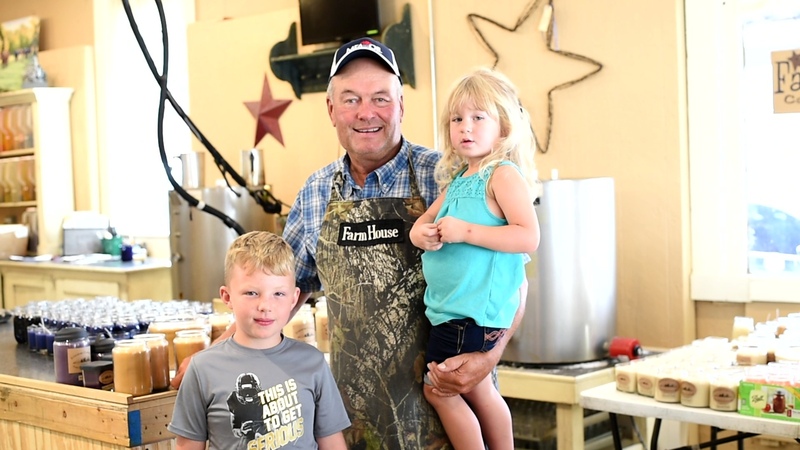 Come see us at the Farm House!